When I was younger, I mastered the art of paper mâché. There are so many things you can do with it, it’s like a science experiment. 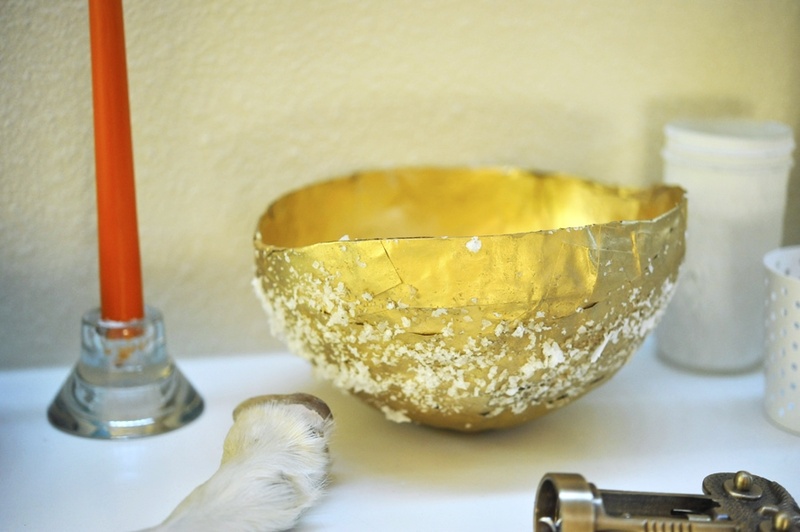 With that being said, I’ve created a simple bowl, spray painted it gold, and added sea salt for a nice texture. This indeed was a science experiment, because I made a homemade mâché paste and it took overnight for the balloon to dry with the paste. 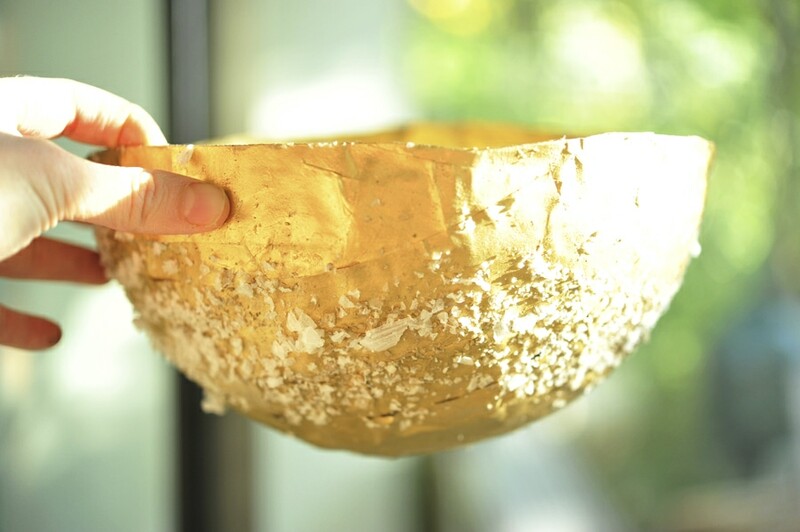 So have patience my friends when you give this rad Paper Mâché Gold Bowl a try. 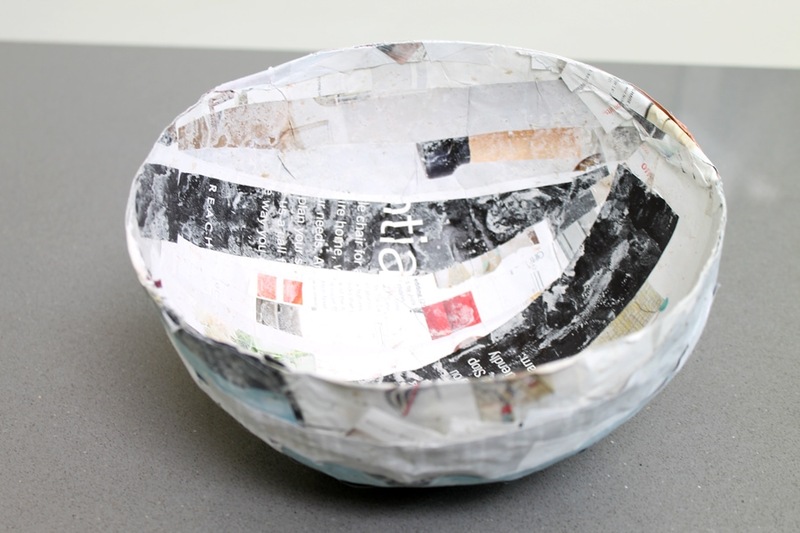 It makes a fun gift to give this holiday season and it’s a great way to upcycle newspapers and magazines. 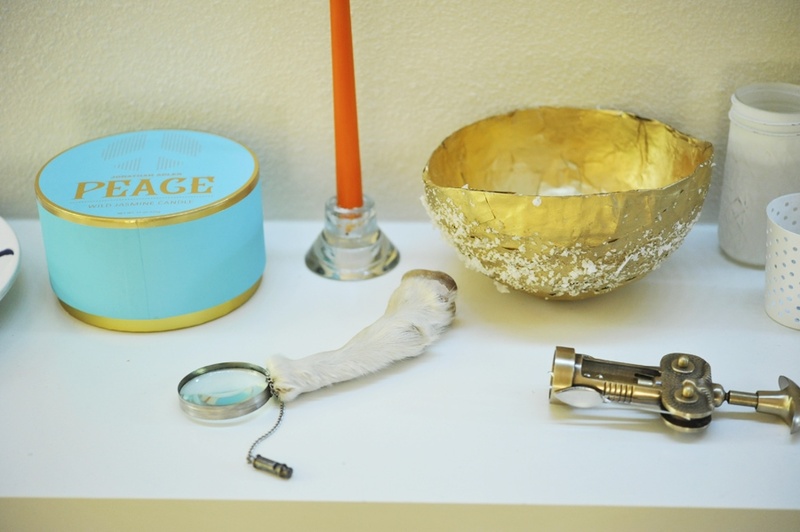 You probably have most of what you need already in your house. 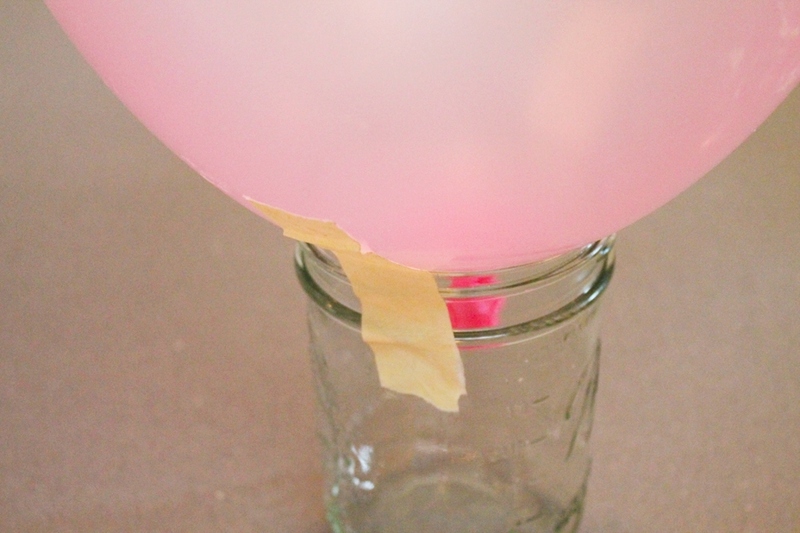 Meanwhile, blow up the balloon if you haven’t already done so, and tape it to a cup or jar. This props the balloon so you work with it easier. Also, cut the paper or newspaper into strips if you haven’t already done so. Once your mâché paste has cooled, it’s time to get your hands dirty. Dip a strip of paper into the paste, and use your fingers to glide off the excess. 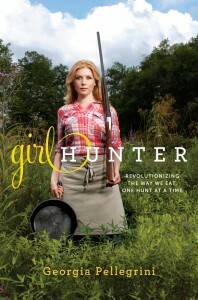 (You could also use a paint brush instead of your hands.) 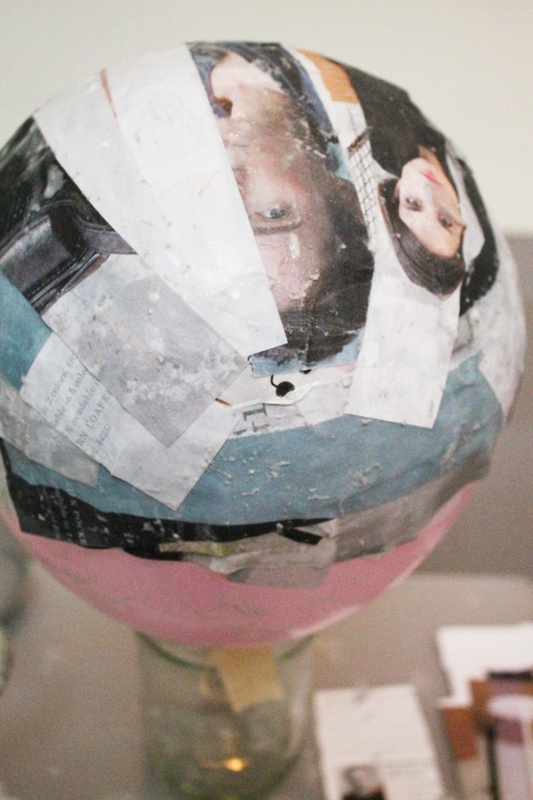 Place the strip on the balloon and flatten it out with your fingers. Repeat this process until you have about 6 or 7 layers and it feels nice and thick. Just like so. 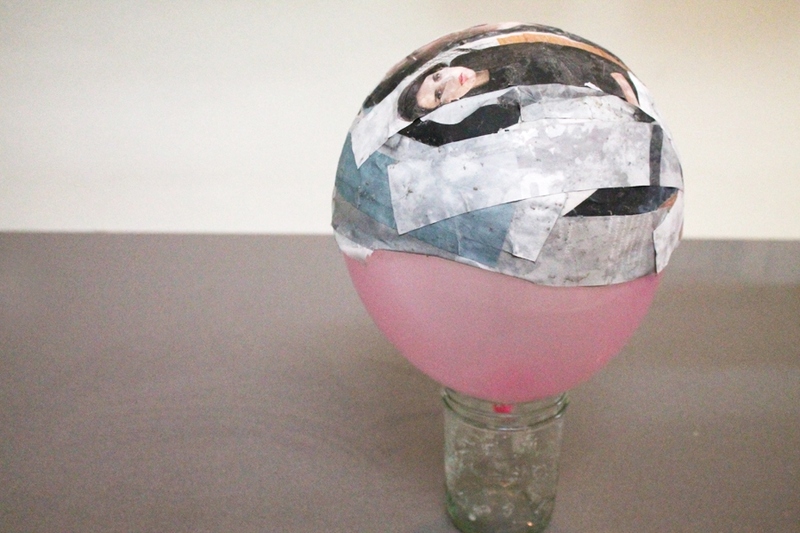 Then, transport your layered balloon from the cup to a bowl. This gives it more support while drying. Let sit overnight until dry. 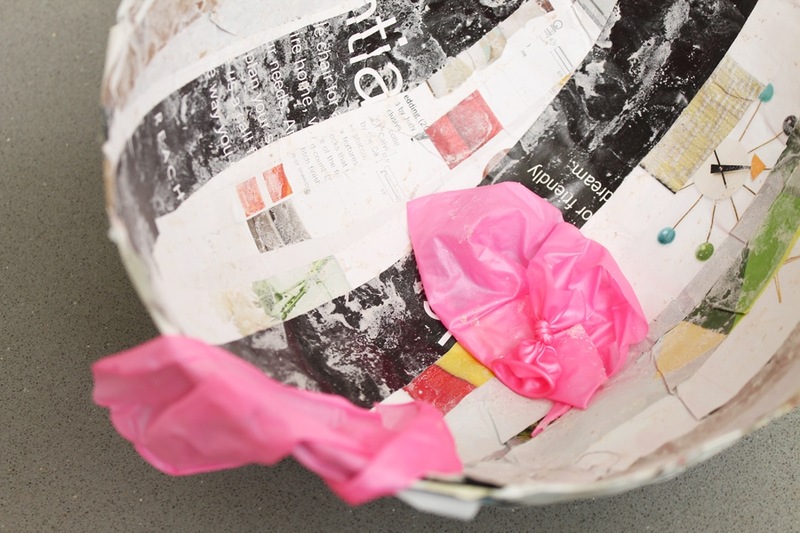 Once the paper on your balloon has finally dried the next day, pop the balloon. 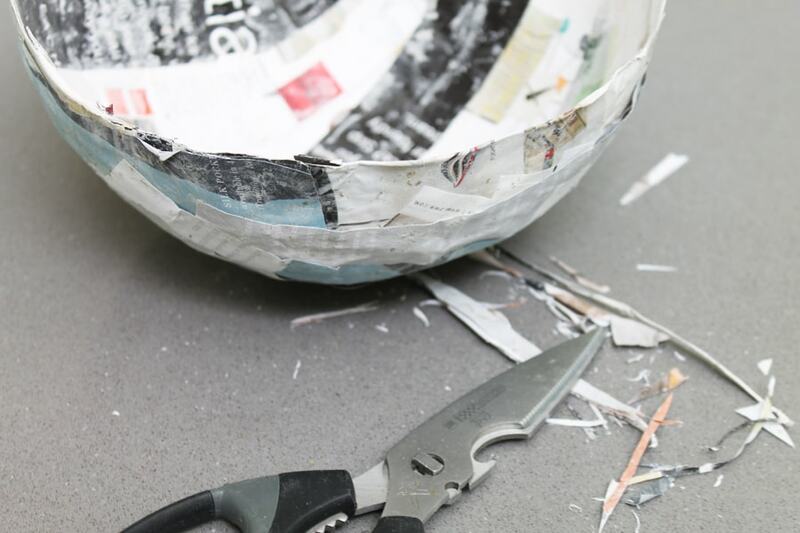 With scissors, cut the edges of the bowl to make them flat and smooth (if you’re OCD is tingling). Or you can leave it as is for a more rustic look and feel. Go to a well ventilated area, preferably outside and lay down some paper. 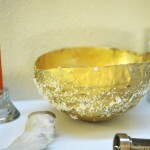 Take the bowl and start by spray painting the inside with gold. Make sure to spray all those nooks and crannies. 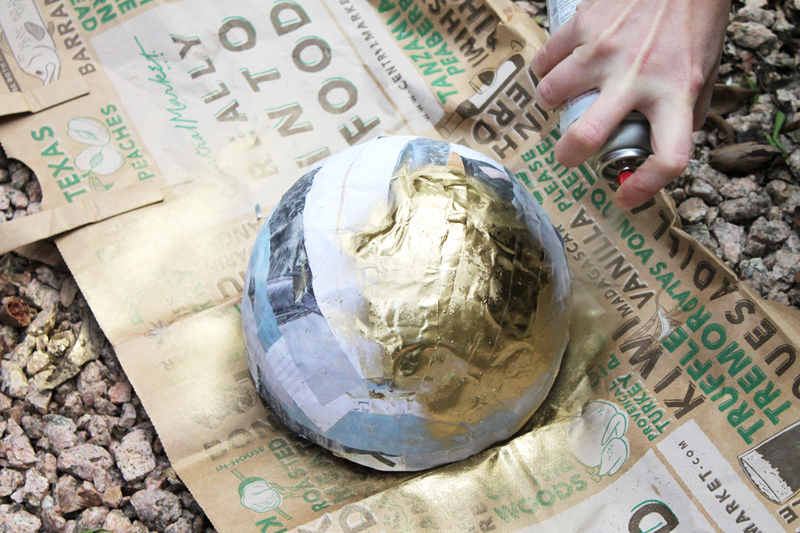 Then flip it over and spray paint the outside. Let the bowl dry for 45 minutes. If you need to retouch some spots, go over it again, and then let dry for another 45 minutes. 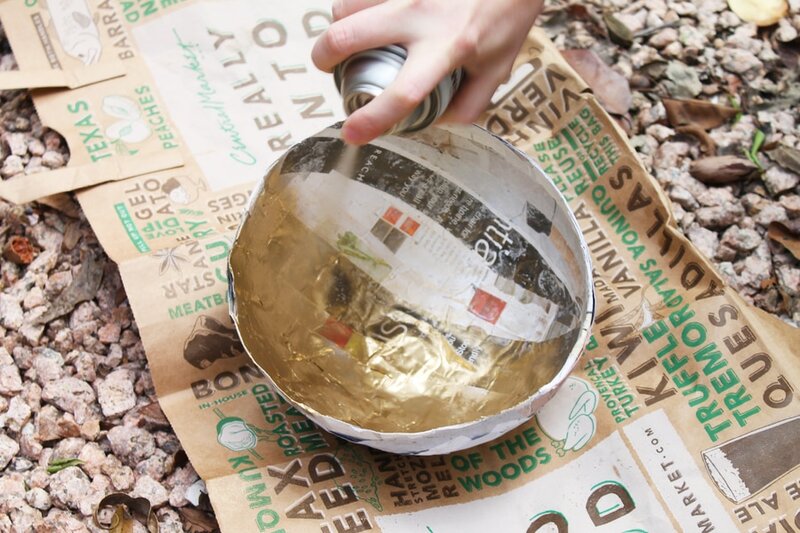 Now that your bowl has dried, take the spray adhesive, and spray the outside. 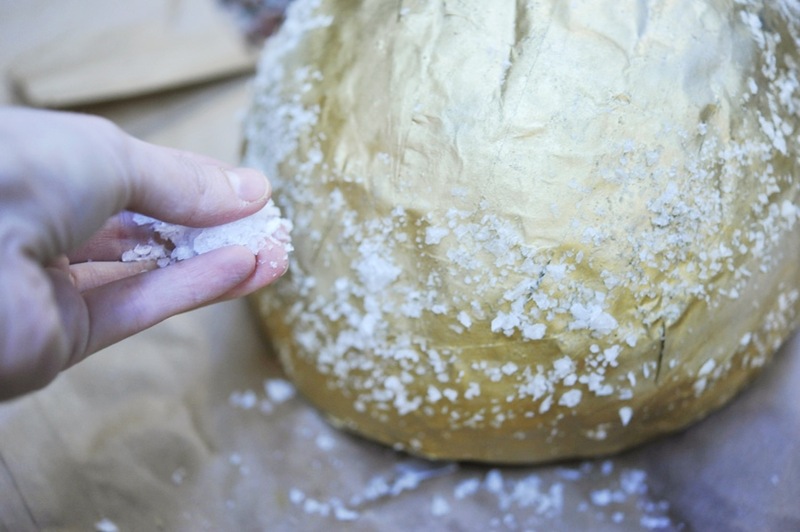 Immediately apply the Maldon salt on the outer edges. This gives the bowl some texture. 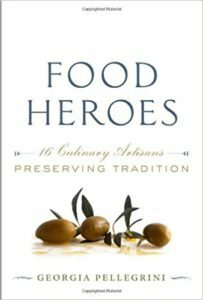 Add more Maldon salt to your liking. Let the bowl sit for 30 minutes or until completely dry. And voila! You now have a good-looking bowl to place around the house or give as a gift. 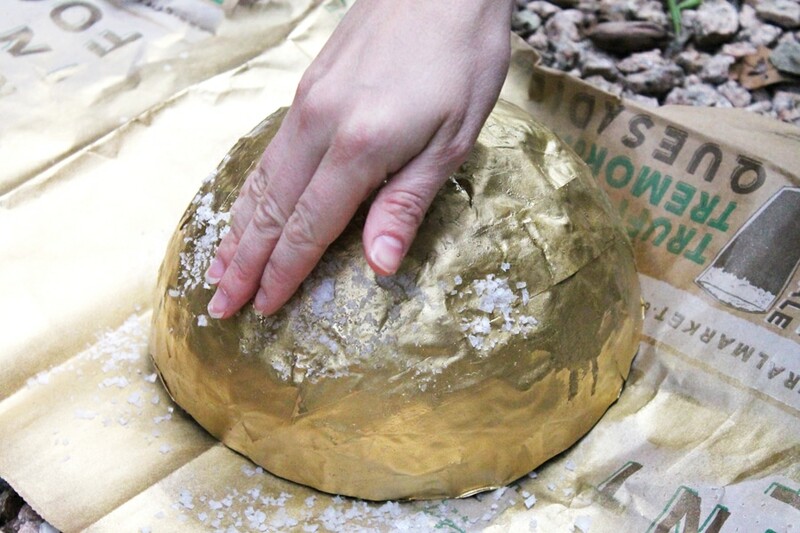 To be even more creative, add some pine cones, twigs, or even flowers to place inside! 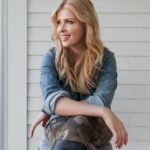 Give this a try my friends! 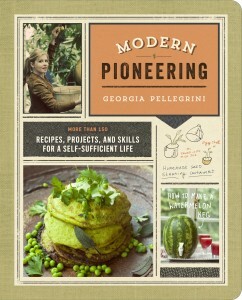 Rather than spend money in the store, see what kind of modern pioneering you can do. 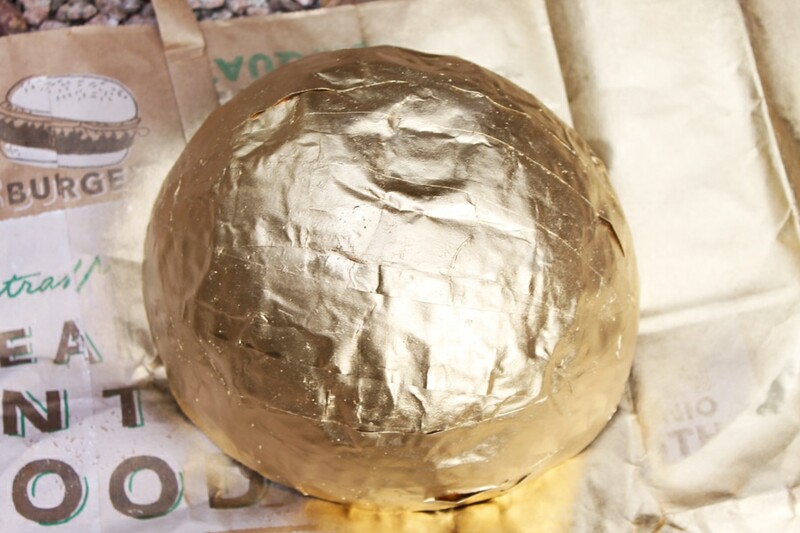 To make the homemade paper mâché paste, stir 5 cups of water and 3 cups of flour in a saucepan and bring it to a boil. 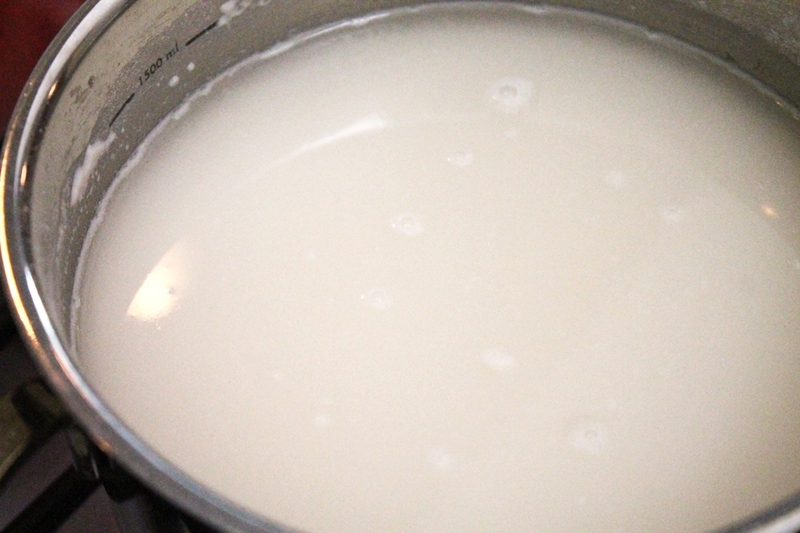 Stir occasionally until smooth. And then let cool. 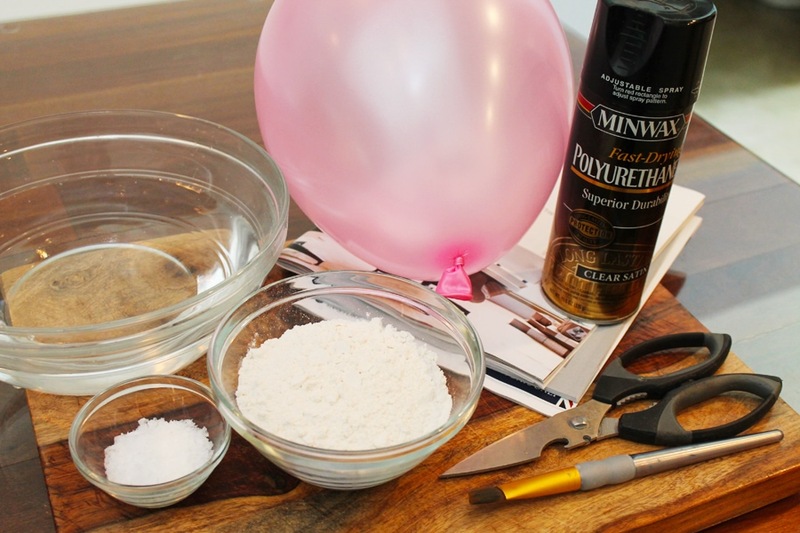 Meanwhile, blow up the balloon if you haven't already done so, and tape it to a cup or jar. This props the balloon so you work with it easier. Also, cut the paper or newspaper into strips if you haven't done so either. Dip a strip of paper into the mâché paste, and use your fingers to glide off the excess. You could also use a paint brush instead. 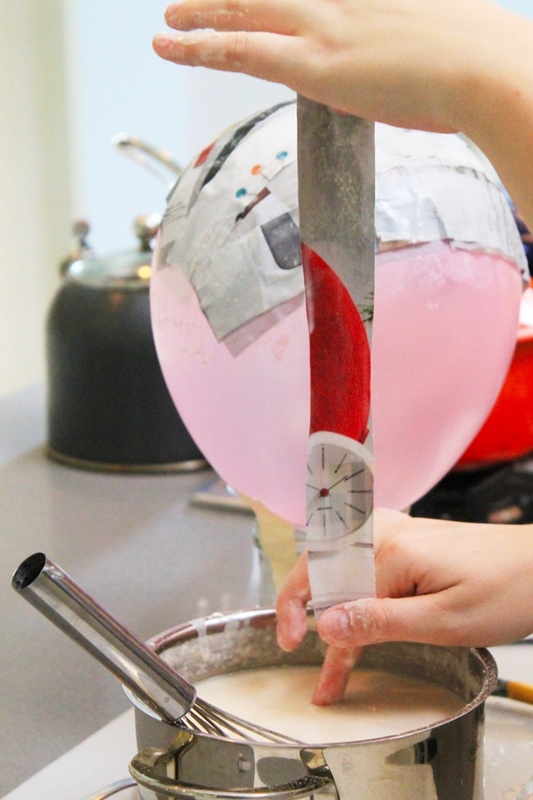 Place the strip on the balloon, flattening it out with your fingers. Repeat until you have about 6-7 layers and it feels nice and thick. Let sit overnight until dry. Once dried, pop the balloon. Cut the edges of the bowl to make them flat and smooth. Or you can skip this step and leave the bowl looking rustic. 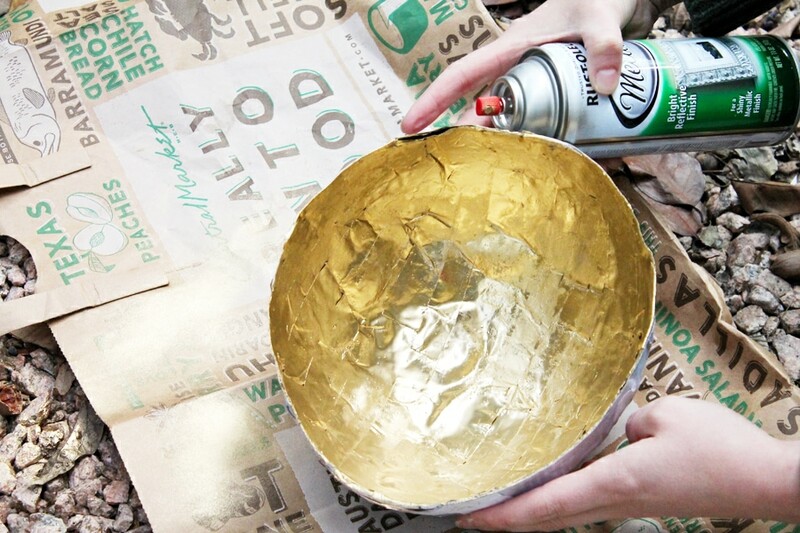 Take the gold spray paint and spray the inside of the bowl. Then flip it over and spray the outside. Let dry for at least 45 minutes or when paint has set. Then go over it again if needed, and let dry another 45 minutes. When your bowl has dried, apply the polyurethane to the outer edges. Immediately add the sea salt. Continue to add salt to your liking. Let the bowl sit for 30 minutes or until dry.